Now that it’s well over 6 weeks into the life of SWTOR, there’s no shortage of Level 50s running around. Unlike those who levelled up in the first week or so, most of those who’ve reached end-game will have actually experienced the storyline in at least a brief sense. Some will have put in a huge number of hours and truly experienced the story from start to finish, but I’d argue they’re in the minority. For the rest of us still levelling, we’ve either been putting in a lot less hours, stopping to explore everything, or both. That’s certainly where I’m up to. My Jedi Sage is at Level 29, and whilst running over a sand dune in Tattooine, I stopped to check out the scenery and take a screen shot or two. Whilst standing there I once again thought about how it’d be sad to end that initial levelling journey. Like any game, that first time achieving a key objective is usually the most memorable and I have no doubt that’ll be the case with SWTOR. What accentuates this for me at present is the current griping about the game’s end content. Given I haven’t experienced that content myself, I’m not in a great position to critique it, but if the end-game isn’t quite as engaging as the levelling content, then I have an even better reason to enjoy the journey rather than speeding to the destination. There’s a fairly strong opposing argument however. Given how story-driven SWTOR is, even if you do rush through some of the story, every class has different quests so you can easily roll two or three toons and not repeat the same quest once. That still seems a little short-sighted an approach though, as any story is only as strong as its component parts, so skipping through quest cutscenes here and there must affect the overall experience. Overall, this is a long-winded way of saying that SWTOR is a damn enjoyable visual experience in addition to its story. There are legitimate gripes about performance and end-game content, but both can be easily remedied and in the meantime, I’ll keep stopping at the top of sand dunes to admire the view. How about you – have you enjoyed the levelling experience and do you feel you’ve done everything you wanted on the road to Level 50? Completely Agree, I have 8 toons all about level 30 and I am loving the story. They fact is that each story keeps me totally engaged. Here’s hoping that the Legacy system makes levelling alts worth while. However, when I do start playing, I’m looking at levelling a Sentinel, Shadow and trooper all at the same time so that I can smell most of the roses while I level. (Hopefully, as mentioned above, the Legacy system will make Alt levelling a worthwhile solo-player reward). The fact is, endgame and pvp content for level 50’s will come, just as it did in WoW. Sadly most complaining on the forums never played WoW in the pre-Burning Crusade era and even less played in the pre-Molten Core era. Leveling in PvP was also great fun also gave you some very good skill control. Sadly, for me, the game didnt give me the PvP i wanted and that they pretty much promised. During my leveling i saw 5 republic players, way to low for a PvP server. Was pretty bummed out by this. The WZ was also pretty fun, although unbalanced due to some classes having a huge advantage in HB f.ex. What killed the game for me was patch 1.1. Having ppl farm to lvl 60 (valor rank) in a mear hours just killed the joy for me. I dont even want to think how it was for the poor republic players who where outnumbered 8 to 1. With no reroll in sight i quit. But i might lvl up a new toon just for the hell of it, since it was fun. I’m amazed at how great the Sith Inquisitor story has been getting. It keeps getting better. I feel sorry for people who rushed or intentionally skipped the content. 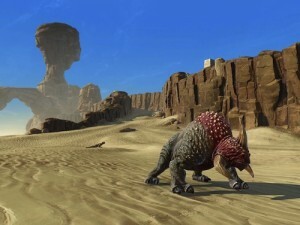 They have majorly screwed up their experience in SWTOR and they will never be able to have that fun back. But being casual I have to say it requires some devotion especially if your brain like mine wants different stuff, different games and gets bored if you play one thing for weeks and weeks. Our guild now have ALT night once a week and PvP night once a week. Its much more fun to play that way if the rest is boring. I am currently sitting at Level 49 having skipped certain planetary quest chains (and even whole planets) to focus on particular steps of the Jedi Consular story quest. I have a suspicion that my next step is the big finale for this story and I suspect I will head back to those planets I have skipped, if only for the story of the republic’s plight. My main reasoning for this approach has been to reduce the out-levelling of planets and I go along. I would have liked to be able to clear out each planet along the way but xp/level/gear wise, it just hasn’t bene practical. I dont get the hate that people give those that “rush” content and vice versa. I enjoy what I enhoy, good for you if leveling slowly is what you enjoy. I waited 2 days to ding myself to even though killing a few npcs would have done it. I completely agree with your article. The experience of levelling has been just so enjoyable with this game that I felt bittersweet when I let myself hit 50. Maxing a level brings a different game experience that can be fun for goal oriented individuals, but it is also quite repetitive. Ive got nearly a full toons slots full now and really enjoying this game so much my highest is lvl 39 my lowest is lvl 9. The journey is the enjoyment of this game turn on the quest video and get inmersed in your toon it will be like you are the toon you are playing end game is call end game for a reason it’s the end of leveling I love swiching toons often and give others a rest and find out what hidden treasures are instore for this toon and my other toons it’s really refreshing to come online and ask yourself which one would I like to play on and not feel guilty not having a toon at lvl 50 as yet. To the ones who rushed to lvl 50 and enjoy end game more good on you that is the way you like to play I dont mind at all but one day soon just do some more questing and learn the story I love the Codex stories I have collected so far in this game. PS get one of your toons to get the legacy then you can really enjoy questing seeing all the legacy points mounting up on all your toons, im nearly level 4 and only been doing legacy for around a week I do work full time so im part time player. Im always in shock when I see iv’e just leveled up just get so imersed into this game it’s so sweet. I like to think that I’m playing KOTOR, and I have good fun doing it!